We offer free initial consultations. 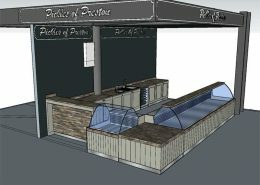 We can also offer further 2D & 3D images and renders depending on your budget. Manufacturing takes place at our workshop in the heart of Preston. We have a small team of experienced bench joiners who transform ideas into reality. 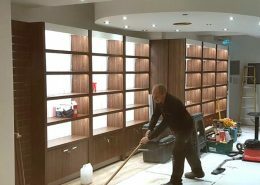 We also offer a complete fitting service should you require a complete refurbishment of ceilings, floors, electrics, plumbing, decoration and shopfronts. What sets us apart from the competition is our ability to not only manufacture, but also to design and fit. We can also look after your flooring, ceiling, plumbing, air conditioning and decorating requirements. Based in Preston, Lancashire we pride ourselves on providing high value products without sacrificing quality. We offer free initial consultations. We can also offer further 2D and 3D images and renders depending on your budget. We directly employ highly skilled individuals with experience in project management, 3D visuals & CAD. Manufacturing takes place at our workshop in the heart of Preston in the North West of England. We have a small team of experienced bench joiners who transform ideas into reality. We also offer a complete installation service should you require a complete refurbishment. Ceilings, floors, electrics, plumbing, decoration and shopfronts are all available within our list of services. SEN Interiors offer a complete in-house Concept & Design service resulting in innovative and original solutions ranging from minor shopfitting refurbishments to major conceptual projects. At SEN Interiors bespoke manufacturing is our passion, we have our own purpose built workshop where design concepts are created by time served craftsmen. Our installation teams are trained to very high standards and are supported by skilled tradesmen. We work with the client to keep disruption to a minimum and we are flexible enough to work around your opening hours. SEN Interiors work with a number of solid surfacing products such as, Dupont Corian, LG Hi-Macs Acrylic stone, Avonite, Hanex, Staron. 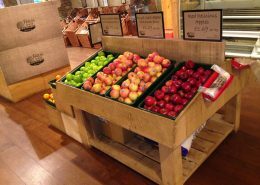 Whether you require a Specialist component, a Merchandise/POS bay or would simply like a specific area of a store to stand out from the rest; our design team is on hand to assist you in achieving the effect you are looking for. We have a huge portfolio of past projects. From retail to dentists, and most things in between. Simply click on the sector to view the gallery. 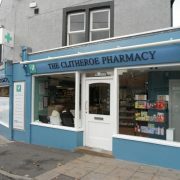 We have worked with SEN, on a project to extend and refurbish The Clitheroe Pharmacy. From the out set SEN worked with us to design and successfully implement a scheme which has resulted in a fantastic new shop and pharmacy facility second to none in the town. We are all delighted with the results. SEN worked tirelessly to ensure that we were happy with the design and the attention to detail has really paid off, including colour schemes, materials, fixtures and fittings. 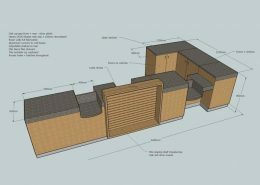 SEN have not only designed the plans but have actively project managed the work on a day-to-day basis, which I think has set SEN apart from other shop fitters. As the customer, we feel that we have been kept informed all along the way with weekly updates and meetings to monitor progress. Ultimately the project was completed within the agreed timescale to our complete satisfaction, and I would certainly recommend SEN to other potential customers in the future. On behalf of myself, the committee and all our members i would like to thank SEN Interiors for a superb job they have done with our new bar. 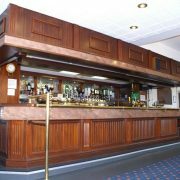 From the first meeting, we had confidence in your ability to design, make and deliver a bar that suited our club and they didn’t disappoint. Although we gave them a tight schedule, they completed on time and under budget and for that we thank them. I would have no problem recommending SEN Interiors to any prospective customer and will certainly use them again when we replace our other bar.